At this year’s WWDC in San Fransisco, Apple announced iOS 9. It is set to be released in the fall and with it comes new changes. As a developer, you should be starting to make sure your apps are iOS 9 ready. Unlike iOS8, iOS 9 isn’t a much of a jump from what you’re used to now. I recommend opening your projects in Xcode to see how your apps and tests run in an iOS 9 simulator. You likely won’t need to make major fixes, but you’ll definitely want to incorporate these powerful features. Split-screen on the iPad brings true multitasking to iOS. If you’ve been diligent and adopted Size Classes and Autolayout in iOS 8, then there isn’t much work to do. If you’re producing an app that could be used in this mode, it’s worth testing it out. Your layout constraints might need tweaking. The Notification Center will get some sought-after love with iOS 9, emphasizing the increasing importance of notifications to the app experience. By default, notifications will now be ordered by when they were received and not grouped by app. Even more significantly, iOS 9 will open access to the Quick Reply function, which was previously only available with Apple’s Messages app. Apple’s WWDC video provides some more information on User Notification Text Input. Location tracking is one of the key components of mobile that sets it apart from desktop. Carnival, for example, allows marketers to target messages to app users based on their physical location. iOS 9 brings a new method on CLLocationManager called requestLocation that will send you a location update to your delegate once. This finally opens up the polling we’ve been waiting for, allowing you to get the location of the device quickly. Using this method will naturally be better for battery life. Low Power Mode may affect background updates for location however. Xcode 7 introduces neat UI testing tools that allow you to record actions and have the test code generated for you. Simply adding your assert commands will give you some reliable UI tests quickly. Plus, it works with accessibility labels too – so be sure to include those on your UI elements. Check out this WWDC video for more info, as well as this comparison between KIF and UI Testing here. Your client wants you to support lots of devices, but wants their app downloadable over 3G? Ugh. A new technique called App Thinning makes this former nightmare obsolete. Basically, with iOS9, Apple will generate a special binary per device type for download; requiring you, however, to only submit the one. Simply apply some tags in your asset catalogs and it’ll do the rest for you. Apps will have a smaller footprint, and may even lead to being able to be downloaded over 3G or 4G because of the new, smaller size. Learn more in this WWDC video. With Apple making binaries for specific devices, you can also take advantage of Bitcode. Bitcode is an LLVM intermediate language (similar to Java’s bytecode files) which are then converted to run on certain processors or architectures. 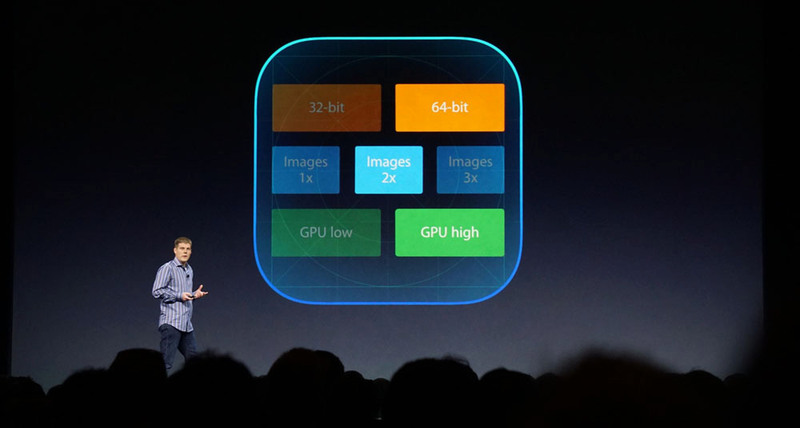 This means Apple will (finish) compiling your app on their servers and deliver an optimized binary to each device. This sounds risky, so we’ll have to find out more as Apple provides more details. It’s likely they’ll try to perfect it before releasing it with the rest of iOS 9. Every year people have a good dig around the frameworks to see what clues about future Apple offerings they can get. MacRumors and 9TO5MAC are go to sources for speculation. Of the rumors, I think we can count on a larger iPad and Force Touch next. With the new split-screen mode, a lot of chatter has surfaced about a larger iPad. With the iPhone 6+ leading US phablet sales, I think it’s pretty likely Apple will make a move to differentiate the iPad. So what does a larger iPad mean? A permanent replacement for TVs? More of a device for sharing an experience? A table top style device such as a 2-4 player board game? Force Touch is a new type of physical interaction between a user and their device. Now present in the Apple Watch and Macbook, iOS 9 will support Force Touch. We should expect to see the next generation of the iPhone and iPad support this as well. iOS 9 is just around the corner so now is the best time to discuss what it means with your clients. What type of new app experiences can you offer with Force Touch? 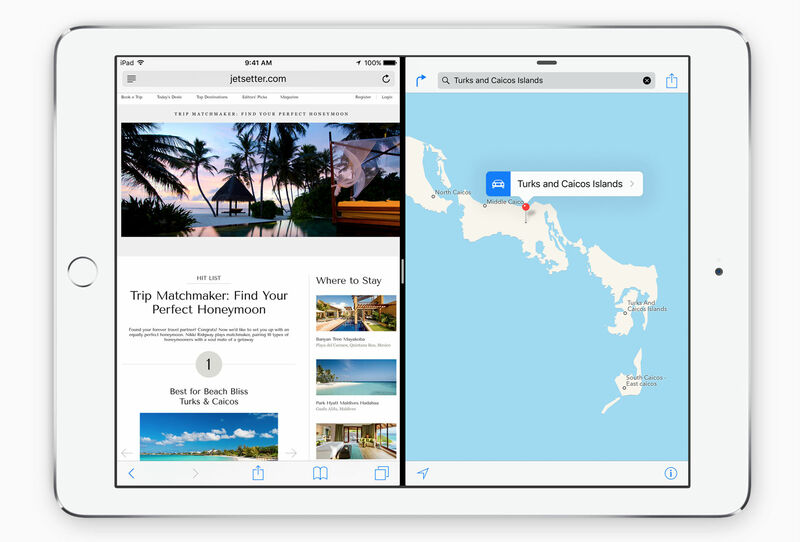 How should you rethink app UI with iPad’s split-screen multitasking? Come September, Apple customers will flood to download the new OS – so your clients will appreciate that you’re thinking about their app success early (reach out even if your apps won’t need changes with iOS 9). Apps that take advantage of new operating system features on day one get a lot of free exposure. To learn more about Carnival’s preferred pricing for mobile agencies, send us an email: agencies@carnival.io. Read more about our Agency Partner Program here.  Archived in Mobile Agencies and tagged app slicing, bitcode, developers, Force Touch, guide, iOS 9, notifications center, quick reply, split-screen multitasking, Xcode 7. Bookmark the permalink.